The popular space-exploration game will be the first ever grand strategy game to come to consoles, bringing more deep strategy, resource management, and political intrigue than has ever been available to consolenauts before. Featuring the same deep strategic gameplay, rich and diverse alien races and emergent storytelling, Stellaris: Console Edition puts the complexity of the galaxy at your thumbsticks. Whether you&apos;re exploring the unknown, discovering the mysteries of the universe, or conquering it for the glory of your empire, console players have more inter-galactic strategy awaiting them than ever before. "Grand Strategy is often considered a niche genre even on the PC, but we believe that while a console audience exists, a game like Stellaris simply hasn&apos;t made it to those platforms yet. With the help of Tantalus&apos; expertise, we&apos;re happy to take that leap!" said Daniel Moregård, Game Director at Paradox Interactive. 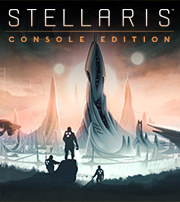 "Console players can look forward to the true Grand Strategy experience and continued DLC and support after launch with Stellaris: Console Edition." Stellaris is a sci-fi grand strategy game from the galactic conquerors at Paradox Development Studio, which allows players to take their personalized empire on their first steps outside of their home system and spread their race across the universe - by diplomacy or by force. Since the game&apos;s launch in May 2016, Stellaris has sold over 1.5 million copies across Earth. The most impressive thing is that I could pick up the PS4 build of the game, not be shown any controller button layout screen, and just know what to do from simple on-screen context clues. It"s an incredibly natural layout, and a pleasant surprise compared to some other less intuitive controller layouts I"ve tried on strategy games in the past. © 2018 Tantalus Media Pty Ltd. All rights reserved.